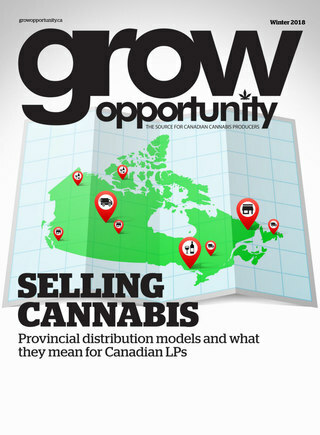 CALGARY – Sundial Growers Inc. has acquired a collection of over 100 cannabis cultivars, which the company will genetically map using a Mitacs Accelerate grant that was awarded to University of Lethbridge professors Igor Kovalchuk and Olga Kovalchuk. Sundial's $247,500 contribution will be matched by a grant of the same amount from the Government of Canada through the Mitacs Accelerate Program, resulting in a total research investment of $495,000. The study will support the work of eight researchers at the University of Lethbridge, who will characterize the various cultivars' growth parameters, analyze cannabinoid and terpene profiles, and identify breeding lineage in order to select the most promising varieties for further analysis. Additional research on the most promising cultivars will examine their impact on inflammation, as well as study their potential anti-cancer properties. "Sundial is putting scientific research at the forefront of its product development strategy," said Sundial president, Geoff Thompson. "This long-term research program will provide valuable data and insights that will become the foundation for future studies and will contribute directly to the development of new cannabis products. We want to acknowledge the Mitacs Accelerate Program for supporting the research and providing grant funding." In addition to providing matching funds for the Mitacs Accelerate grant, Sundial will provide space at the company's licensed production facilities for growing and phenotyping new cultivars and studying plants. Sundial will also provide cannabis cultivation materials and expertise, as well as office and labaratory space for researchers that are conducting the studies. The project will be supervised by University of Lethbridge by the two professors, Igor Kovalchuk and Olga Kovalchuk. "There is a significant absence of information about the genetic characteristics of hemp and cannabis cultivars that are sold in Canada," Igor said. "Sundial is taking the lead on understanding the medicinal properties of cannabis through meaningful scientific research." The research project will support two researchers through their PhD programs, four Masters of Science (MSc) researchers and two postdoctoral researchers, all being supervised through the University of Lethbridge. Sundial is a privately held, Alberta-based licensed cannabis producer. The company operates two facilities in Alberta: its flagship, purpose-built modular cannabis production facility in Olds, and a second production facility in Rocky View. It plans to build a third facility in British Columbia.